Two years after Paramore fully embraced pop rock with their immensely successful self-titled album, a lineup change led to uncertainty about when or if the Tennessee group would release new music. However, frontwoman Hayley Williams and guitarist Taylor York vowed to press on, and two years later, former drummer Zac Farro unexpectedly returned to fold. Today the wait is over, as the band has announced a new album, After Laughter, out May 12th on Fueled By Ramen. Alongside the announcement, Paramore released the lead single “Hard Times” and its accompanying music video. 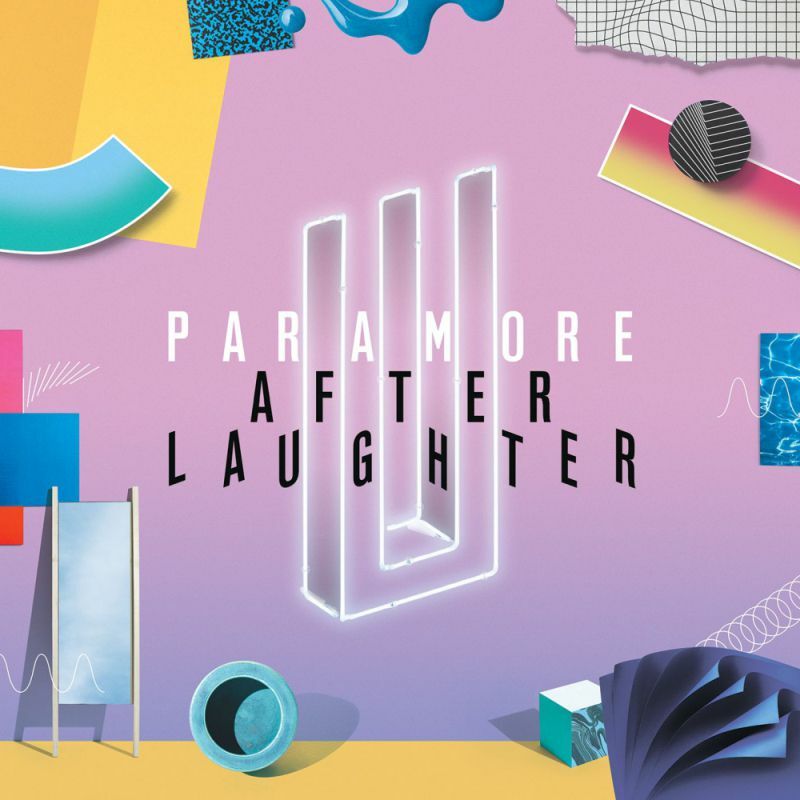 The new song builds on the bouncy pop rock of their previous hit singles “Still Into You” and “Ain’t It Fun” by further incorporating 1980s new wave — it’s even drawn comparisons to the Talking Heads. The video features a neon and pastel color palette which matches the sound of “Hard Times”, but rain cloud imagery acknowledges the lyrics inspired by yet another chapter of turmoil in the band’s history. Watch it below. The drama started back in 2010, when founding members Zac Farro and his brother, guitarist Josh Farro, left the band during an ugly split in which they claimed Paramore to be a “manufactured product of a major label.” Later on, bassist Jeremy Davis left the band for the second time in December 2015 amid law suits regarding profits in the band. In any case, the drumming Farro is back, and Paramore have big plans ahead. They’ve already announced a summer European trek in support of After Laughter and are set to appear at Riot Fest in September. Below, find the complete album details followed by the band’s current tour schedule.